The week of Thanksgiving, I'll be posting a full tutorial on the evergreen wreath project. This post will include instructions on how to make your own letter. Today, I wanted to talk about the grapevine wreath. 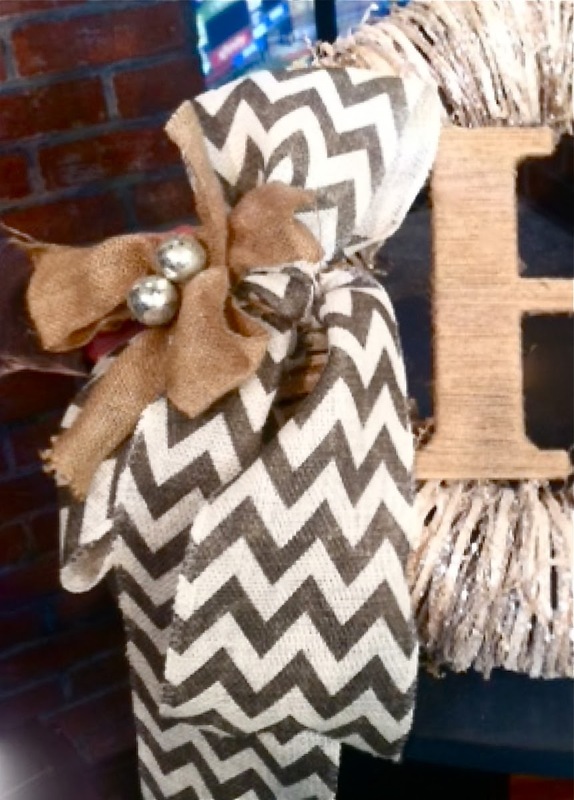 For this project I wrapped the letter in jute twine and attached it to a pre-made glittery grapevine wreath. To finish it off and give it a custom, designer look, I added a large bow made from burlap chevron ribbon. 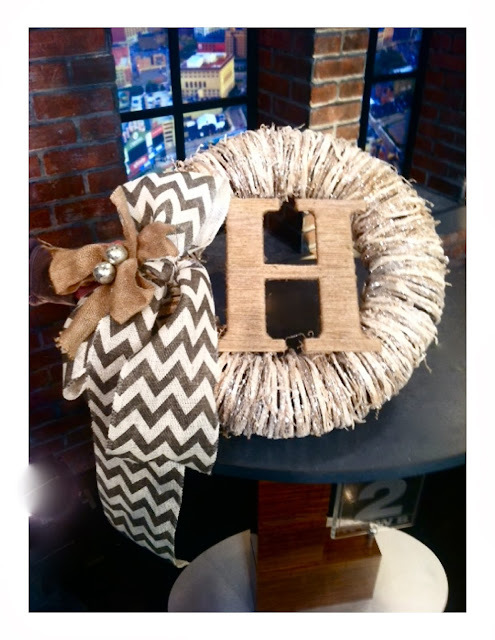 This wreath has a great organic feel to it while the glitter and bold print give it a contemporary flavor. 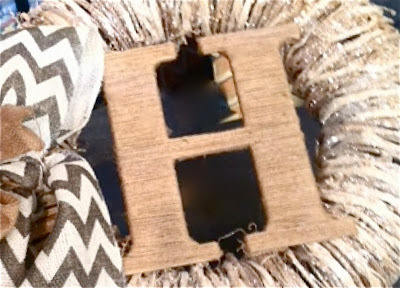 During the DIH Workshop at The Home Depot in Canton, Michigan I'll be discussing ways to find inspiration to put your own spin on the DIH Workshop Monogrammed Wreath Project. The Home Depot associates will be showing you how to use the tools needed to make the monogram. I hope to see you there! If you are not in the Detroit area, no worries, you can register for the DIH Workshop at your local Home Depot by clicking here. It's so gorgeous and simple! Love it! Where did you find the premade glittery grapevine wreath?